I like portable food. Portable food is shareable food. And I like to share, especially if they are calorie laden baked goods. 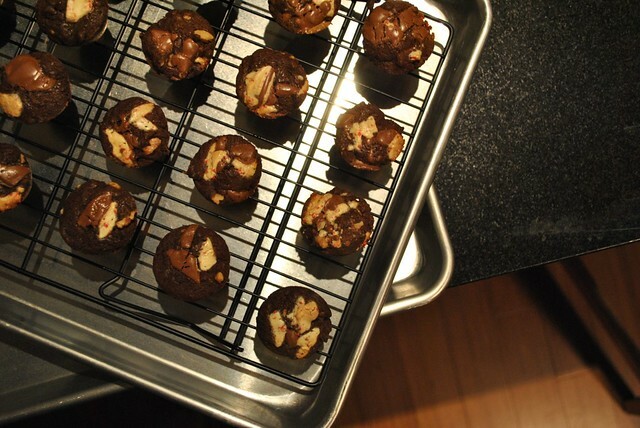 It’s why all my quickbreads turn into muffins and why I love cookies so much (cupcakes on the other hand…a whole different issue. Some things are better left whole). When my products are portable, they can be brought places, like work, and shared. They make people smile. I like making people smile. 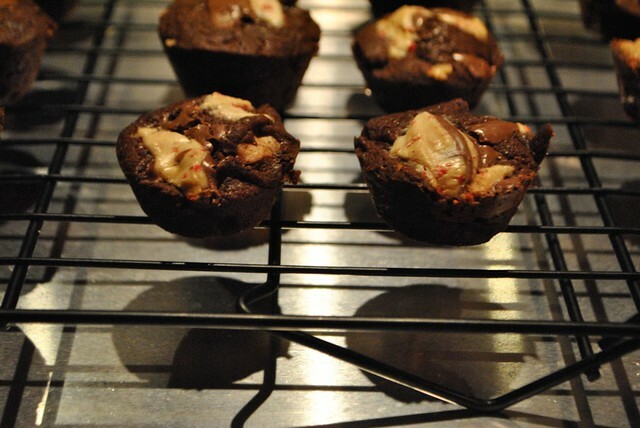 So, when I came across a tiny little blurb at the end of this brownie recipe from Smitten Kitchen about using a mini muffin pan to make bite sized brownies, my mind….was blown. I can make portable brownies!! So I did, and I will be sharing them for sure. 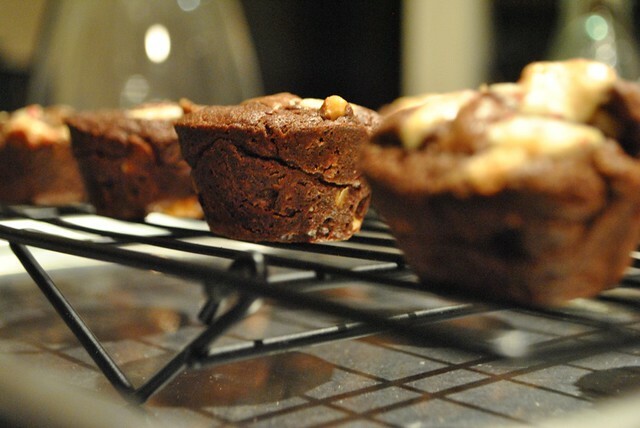 Grease the cavities of a mini muffin pan with either some melted butter or Pam. 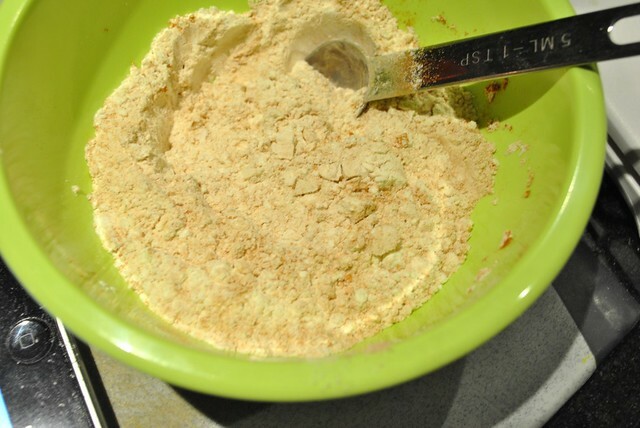 In a small bowl combine the flour, salt and cinnamon. 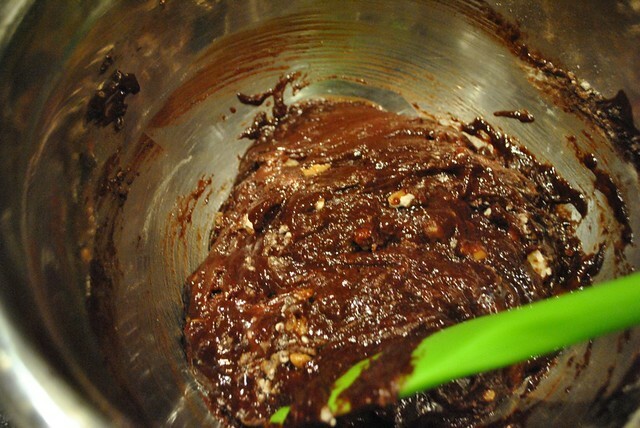 Over some simmering water, melt the chocolate and butter in a heat proof bowl, double boiler style. Once it’s melted, remove from heat and stir in the sugar, then the eggs, then the vanilla extract till well combined. Add the flour mixture in all at once and the walnuts (optional) and fold till combined. 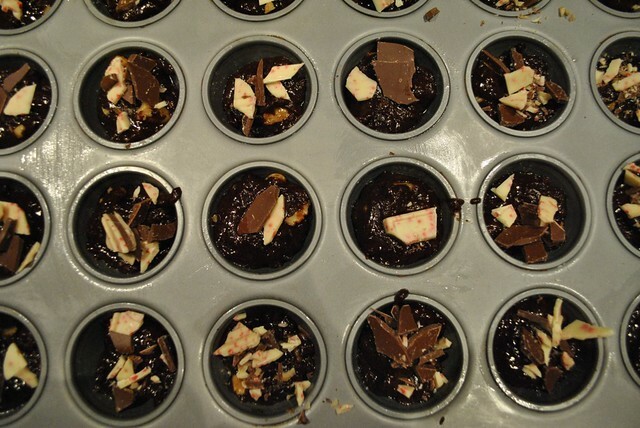 Add dollops of batter into the mini muffin pan cavities about a teaspoon at a time. You can fill to just about the top. 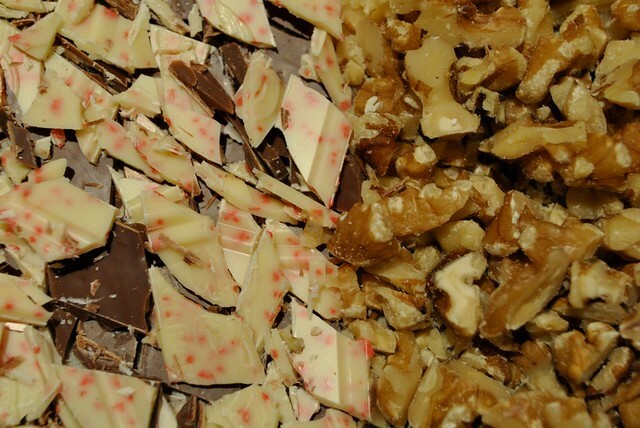 For the holidays, I topped mine with some chopped peppermint bark. Into the oven it goes for about 15 minutes. Until a toothpick poke is clean. 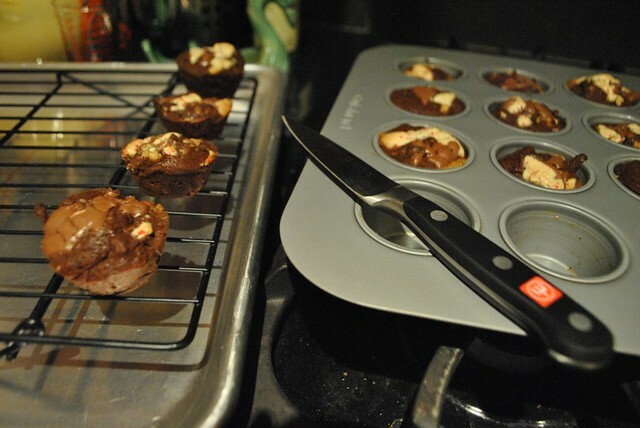 Let it cool in the pan for about 5 minutes before unmolding them to cool the rest of the way on a cooling rack. 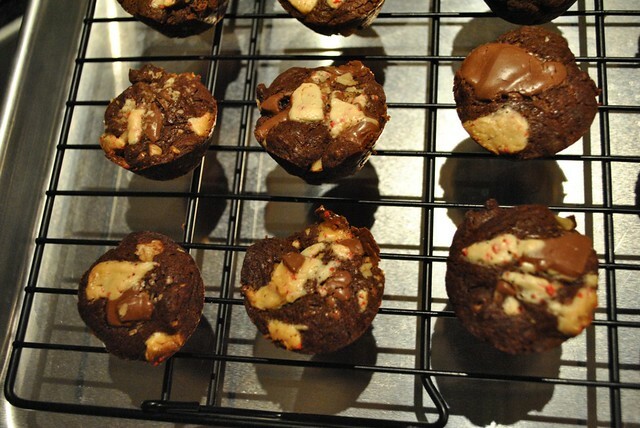 This entry was posted in Cookies, Dessert and tagged brownies, Peppermint Bark, Portable, Smitten kitchen. Bookmark the permalink.